Ultima™ 501 is furnished at a maximum hardness to resist severe abrasion and moderate impact. Typical hardness range is 475/535BHN. Typical tensile strength is 255,000 PSI. This AR500 wear plate is manufactured to modern steel making technology which incorporates; inclusion shape control, grain refinement, small batch thermal treatment, and low levels of sulfur and phosphorus. 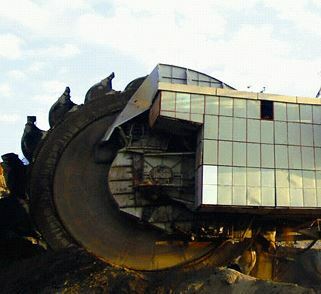 Ladle refining desulfurizes, and metal slag stirring frees unwanted gases. Micro melt practice and alloy ribbon enrichment means ideal control of analysis and physical properties. Hi-tech rolling procedures mean closer thickness tolerance, better plate density, and superior surface quality. All plates are descaled in the rolling and heat treating process. Carbon Equivalency (CE) of 54. Call or email us for a quote. This wear plate product is intended for use in applications where a good balance of impact, toughness and abrasion resistance are required. 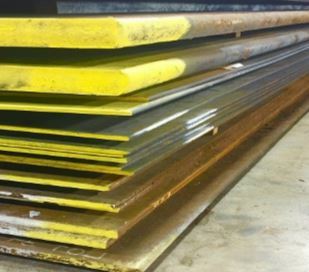 Abrasion resistant steels are typically sold to hardness range and not a fixed chemistry. Abrasion Resistant – designed to resist many forms of high abrasion and moderate levels of impact. Supra HT™ is the past protected tradename of North American Steel Company.